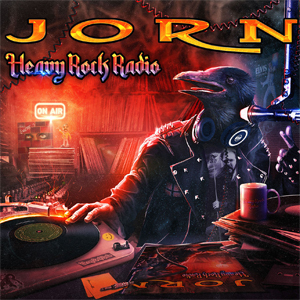 JORN Drops Video For "You're The Voice"
Earlier this month Frontiers Music Srl released JORN's new album, Heavy Rock Radio. The record has been received with critical acclaim, which is a feat in itself especially for a covers album. Over the weeks leading up to the release JORN has released a series of music videos for many of the songs on the album. Today JORN has released another exceptional video. This video features his brilliant take on the John Farnham classic "You're The Voice". Watch it on KNAC.COM right HERE. Heavy Rock Radio is available for purchase via iTunes and Amazon. Heavy Rock Radio is not an ordinary album of cover songs, it is truly a songbook of hits. Featured - among others - are great versions of the eagles' "Hotel California" and Kate Bush's "Running Up That Hill", they all get the JORN style treatment and become powerful and epic, without losing their commercial touch. More great classics included are John Farnham's "You're The Voice", Queen's "Killer Queen", and two absolute melodic rock evergreen gems in JOURNEY's and FOREIGNER's "Rev On The Red Line".